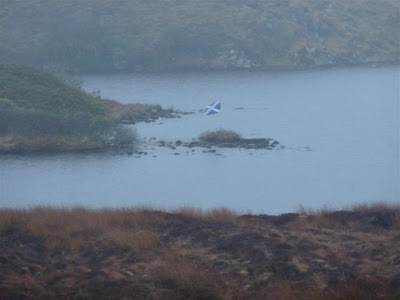 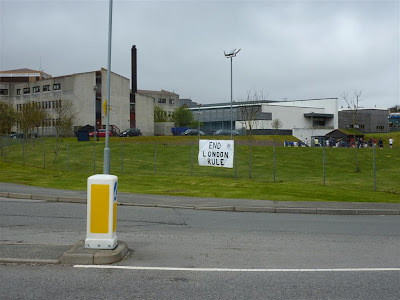 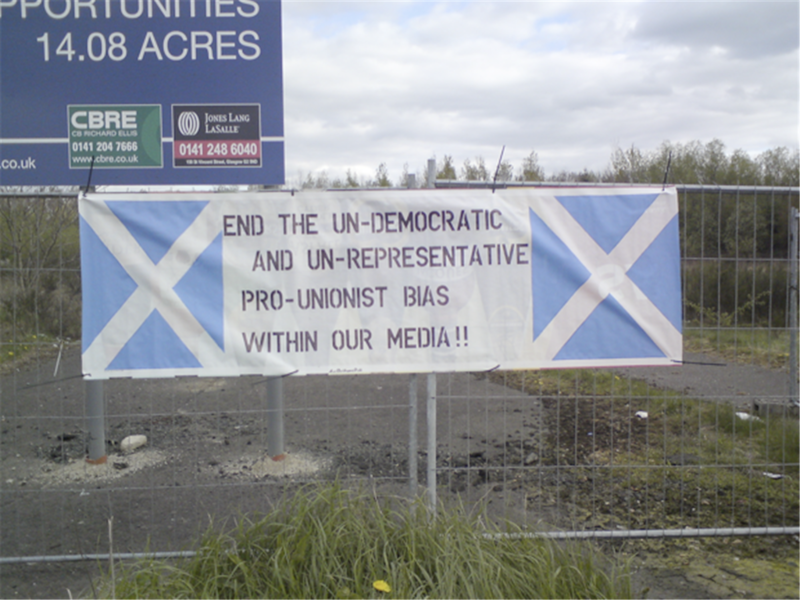 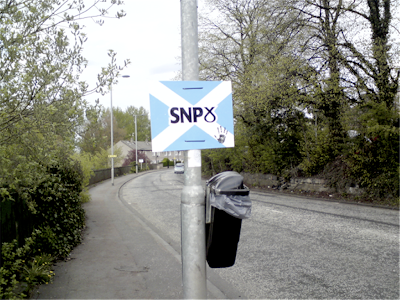 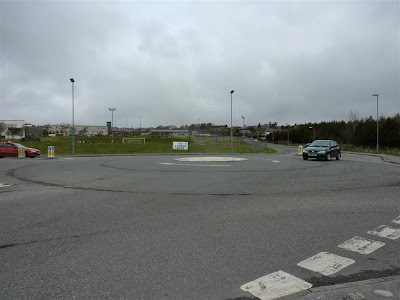 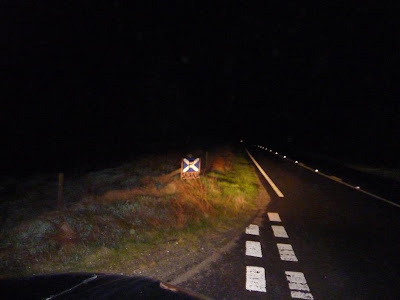 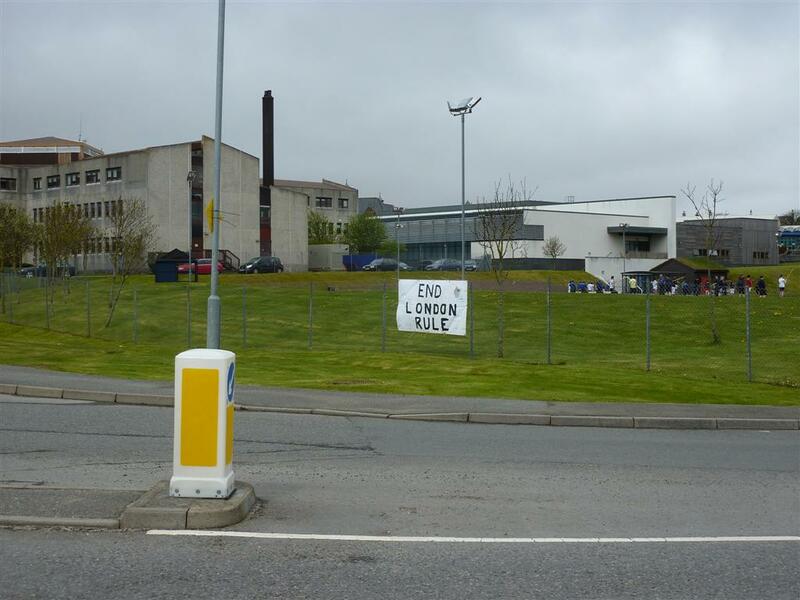 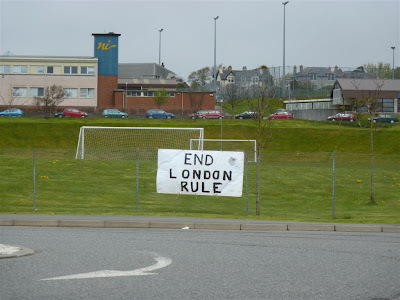 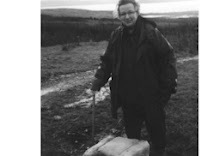 On the day that the british have their general election, this week’s blog comes to you via Na h-eileanan an Iar where banners of protest have been spotted. 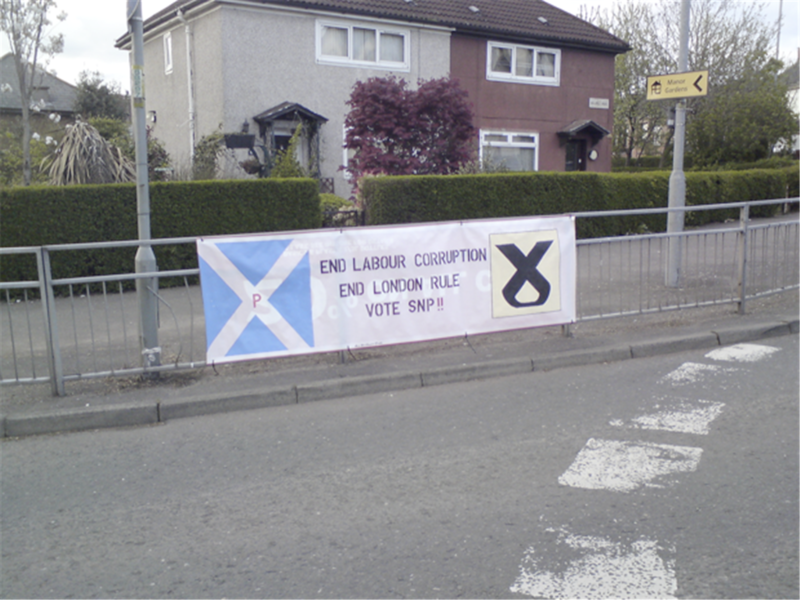 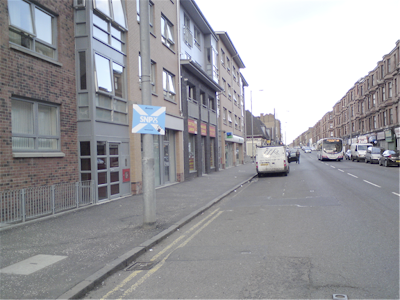 These in response to the huge display of vote Liebour placards seen throughout. Not much more can be said about this british election as its media coverage has been relentless. 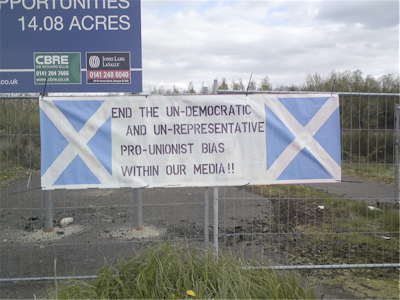 No need for the proof that Westminster controls the media we see in Scotland and the coverage of this election says it all. 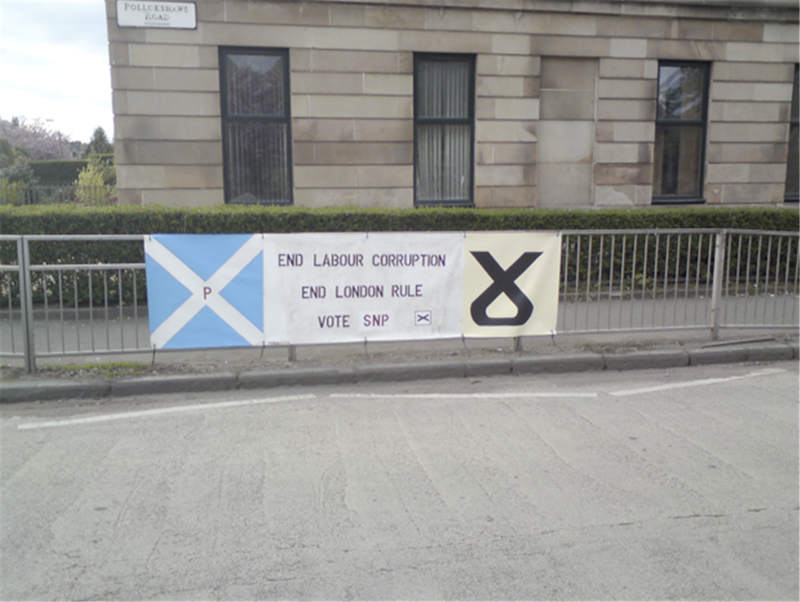 The deviousness and corruption of british Party Politics is there for all to see and hopefully we have assisted in opening the eyes of the people of Scotland. 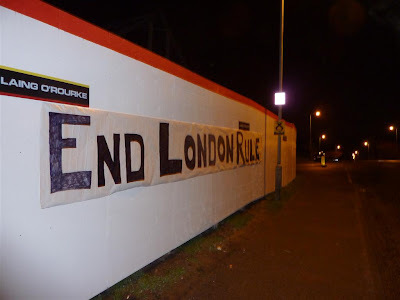 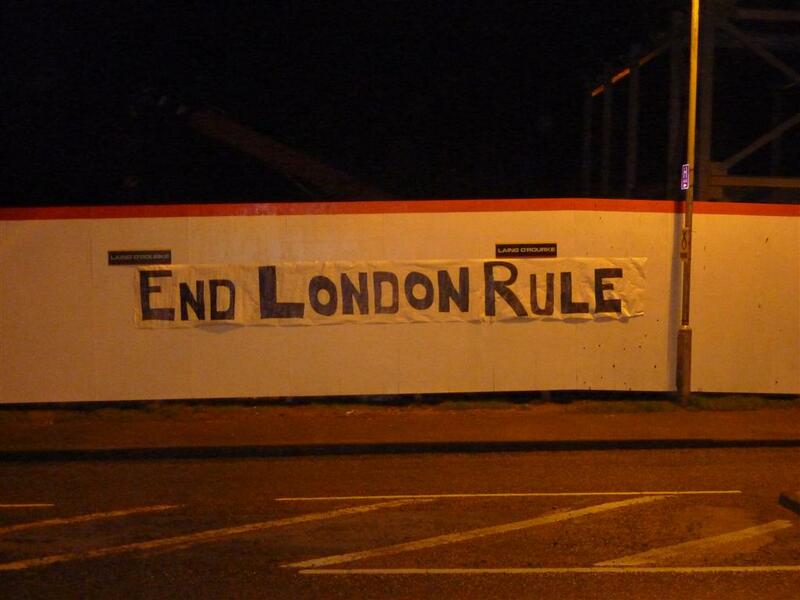 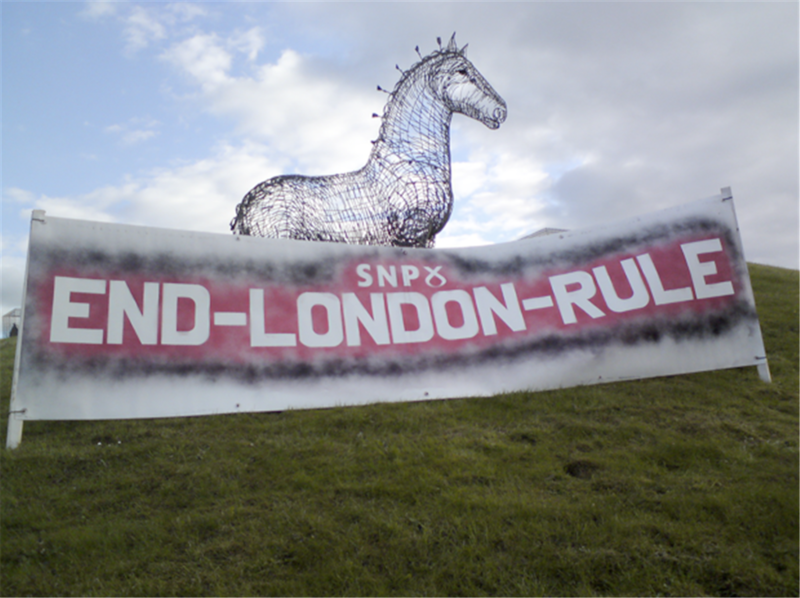 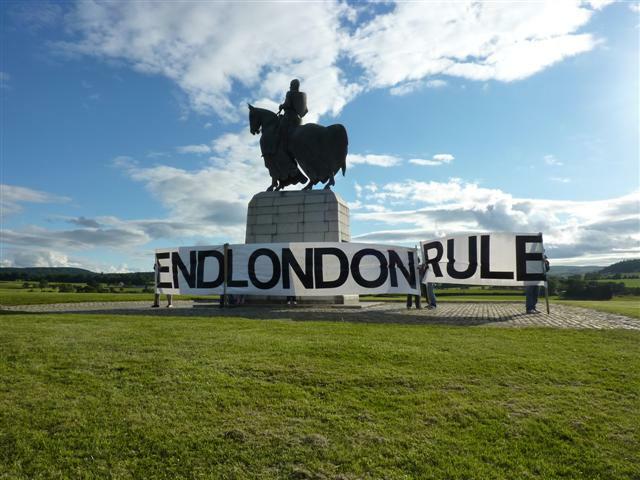 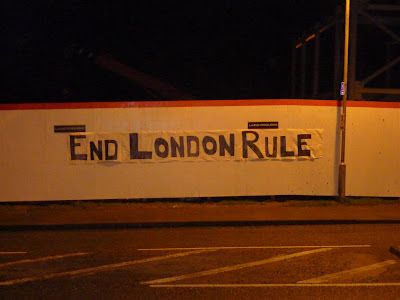 We promote a non party political message which is simple, End London Rule. Give Scotland back to the people who live there and leave the Westminster machine to those who partake in the Party Political messages of deviousness and corruption. To those all over the world who have taken the time to look in here a huge Welcome, Failte, to the USA, Eire, Ulster, England, Canada, Australia, New Zealand, Norway, India, Belgium, Germany, Spain, The Netherlands, France, South Africa, Italy, Bulgaria, Brazil, Turkey too name but a few we hope that you can also pass on Scotland’s message of protest. 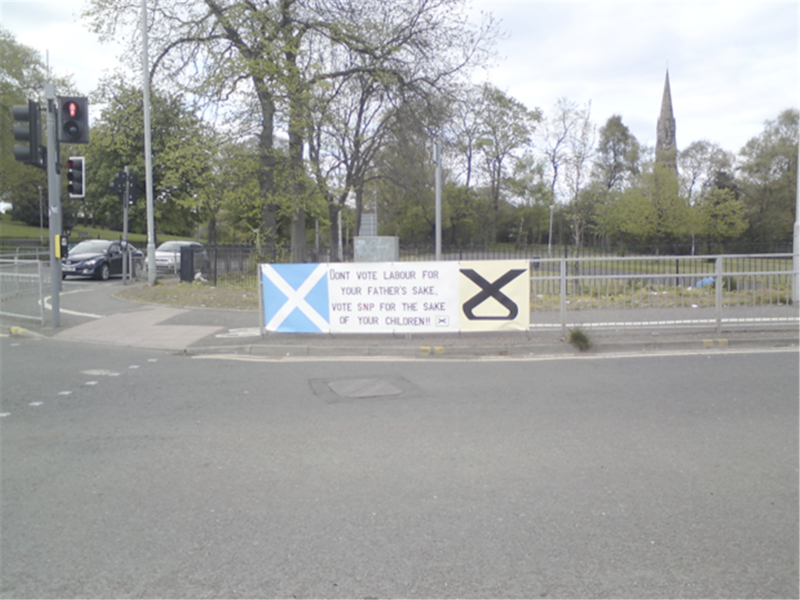 Our small nation extends our hand of friendship the world oer and hope you find something of interest here that tells you that Freedom has not been put to sleep and the spirit of William Wallace lives on. 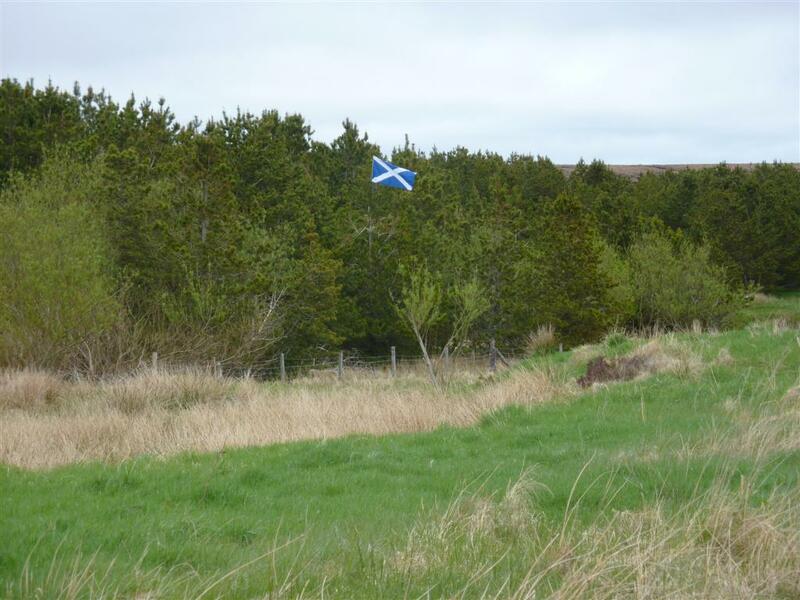 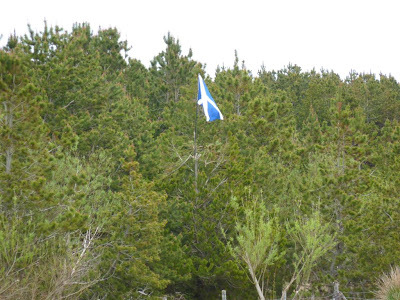 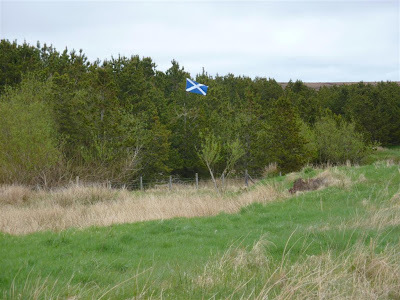 And even trees grow Saltires!! 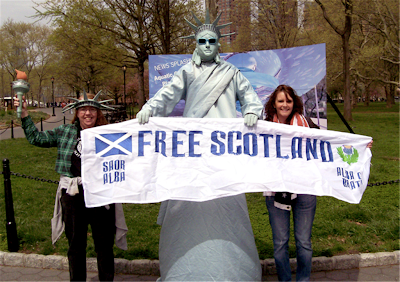 Spotted in the US of A. Liberty "STANDS" for Freedom and Scotland’s Freedom is proclaimed. FREE SCOTLAND…..
Our friends at the Am Bhuidheann Dubh have also been busy and e-mailed us this report. 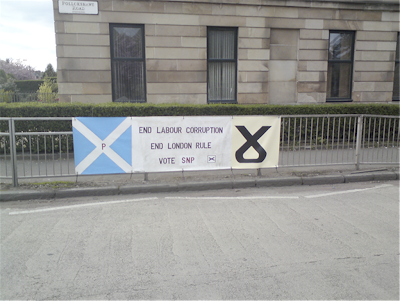 SO GET OUT THERE TODAY AND VOTE FOR SCOTLAND AND NOT WESTMINSTER.